Evince, Drupal Development Company brings you many years of experience in developing the most functional, secure and cost effective Drupal development solutions for clients across the globe. Our Drupal expertise across the verticals of eCommerce, travel, healthcare, CRM, Mobile Applications, insurance- banking, social media and telecom has enabled us creating websites that belong to diverse domains along with customized Drupal features. Drupal is free and Open Source for content management. 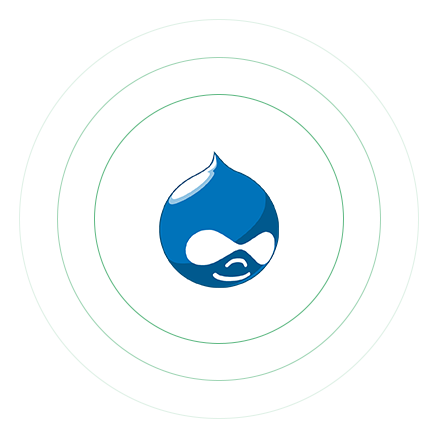 Our Drupal development experts develops blogs and enterprise applications according to the customer’s business needs. The team of knowledgeable and extremely proficient Drupal web developers brings you a complete range of Drupal web development service. Drupal open source software, particularly created for a content management system (CMS) framework. Drupal is composed in PHP code and, in this manner, it spares cash with regards to build up a site utilizing it. Publishes a single website or shares content in multiple languages across many devices. Drupal cms enables designers to customize innovative templates. It provides many add-ons and designs that makes it a popular choice among developer, designers and business users. Our Drupal website developers with ample of knowledge and rich experience can create customized designs that is optimized for the way your website works. Our Experts produce advanced, interactive and modern solutions for your business. In addition, we also provide you a complete control to publish, organize and edit the content online. Provide all quality standard and safety measures. Flexible enough to display content in a way search engine wants. Free themes available online reduce web development cost significantly. Enables companies to deploy functionalities and features of the site. Drupal provides an extensive support for API’s like Facebook, twitter etc. Essential tools are available for content creation and publishing like WYSIWYG.